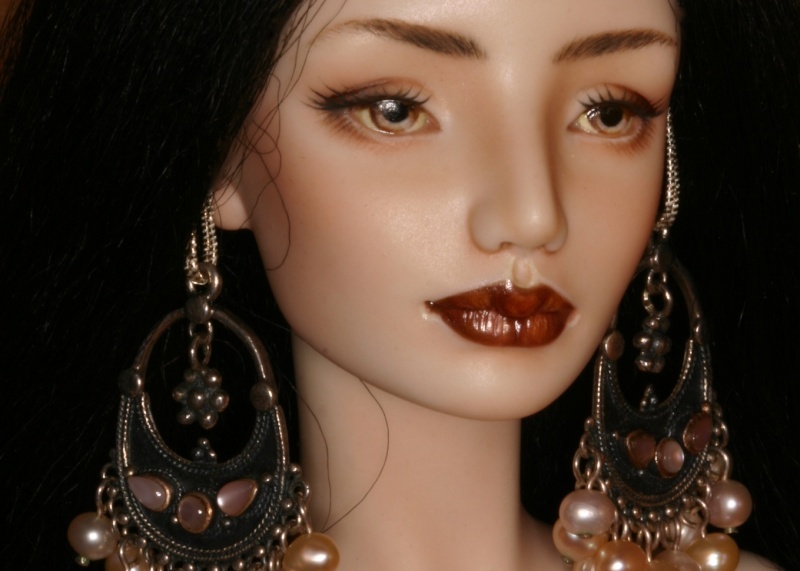 Ivdolls, Shulam should be arriving this coming week. I'm trying not to get anxious about it. I'm sure she will be mind blowing, especially all the open carved work. Anna has done her in my favourite type of colouring -- red lips with dark eyebrows on pale porcelain. Oh my goodness. I can only imagine how excited you are. She is adorable!! Does she come with the dress too? Donna, Happy New Year! I hope that Shulam arrived safe and sound. Hopefully you can post her pictures soon. Sunshinegirl, congratulations on your little cute. She looks adorable. She seems very photogenic. 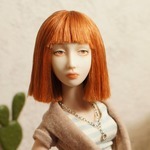 You are in for a treat- Angelika's dolls are wonderful! 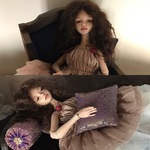 Now I found the waiting room and wanted to announce here as well that I am waiting for a forget me not doll from Angelika! She should be in my precious collection of rather random things that I plan to finally showcase in my new home. (Ok this sounds way more fantastic than it probably is). 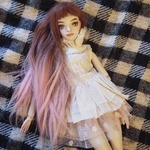 Just got the first photos of my doll to come! nada Congratulations from me :-) Is she from Angelika Balan?